Rated R for pervasive language, drug content, and some sexual material. Matthew Porterfield's "Sollers Point" is like "The Florida Project" for the working class people in Baltimore's Dundalk area community. It spends most of its sluggish screen-time following just one of its residents, McCaul Lombardi's former drug dealer Keith, who is introduced to us while under house arrest after getting out of prison. The script largely concerns him navigating the tenuous influences around him, while dealing with the hole he has dug himself into. With his probation ankle monitor removed minutes into the movie, "Sollers Point" is plainly and stubbornly about watching Keith going back into the world, and whether he'll be able to make something of himself before giving up in one way or the other. As the script balances references to his past while creating some atmosphere, it becomes a hollow character study, in which Keith's interactions with a wide cast of characters try to create a sense of who he is. Here's Keith calling his sister about his niece's birthday, or borrowing a truck from the affable Mr. John, or later on, getting back into the drug dealing game, and being taunted by former and very goofy drug guys from his past life. Porterfield's editing takes on the meandering nature of Keith's current existence, but there is little memorable visual artistry to suggest the project has a higher intent than wandering. A complicated idea of his new innocence begins to show itself, but these individual scenes fail to amount to anything that's gripping; "Sollers Point" meanders with the bare minimum of stakes. As unlikable as he can be, you don't want bad things to happen to Keith, so his impulses toward retaliating against the thug who grandstands against him are dismaying. And in a story of a man battling bad influences within himself and from the outside, his decisions are always meant to test us. It doesn't help that Lombardi's performance lacks a vital transparency and eloquence itself. Keith's interactions make for hit-and-miss low-key drama, as he has passing interactions with characters who are either one-dimensional, (his cheery grandparents, a woman later who wants drugs from him) or refreshingly eccentric, like a drug ring guru dude named Mom, who espouses Bible quotes and other philosophical statements in one of the movie's rare unforgettable scenes. Even curious performers are stunted by the script's sporadic focus, like Zazie Beetz (underused as a girlfriend from his past life) and even Jim Belushi's sparse performance as Keith's father. 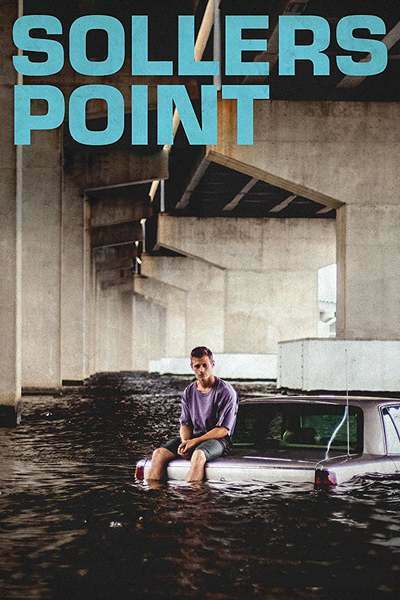 True to its title, "Sollers Point" undeniably comes from a certain place. Porterfield's script is constructed out of some whims concerning class, race, and even the rehabilitation system, but as these things are hardly emotionally grounded by story; the script gives them representation at best. Considering the specific focus on its white characters, and with Keith described later as being treated like a child despite being very much an adult, there's a compelling hint to his societal privilege, the way that American culture can baby grown white men like Mark Zuckerberg or Jared Kushner when they're in trouble. Maybe these themes kept the filmmakers inspired as the project struggled to find what it ultimately wanted to say. They certainly don't make for anything revelatory in the final result. One can imagine that "Sollers Point" might be better if its focus expanded to the area's inhabitants, not just Keith. Just as much, you can also sense that there's a tighter movie to made from narrowing down what's already here. As is, "Sollers Point" is more bland and shapeless than any clearly empathetic project should be.